Remember: Annual Passholder receive a 20% discount on Disneyland Guided Tours! 15% Off Select Disneyland Guided Tours coupons with Disney Premier Visa Card at Disneyland in Anaheim, CA. 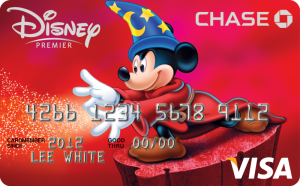 Just use your valid Disney Visa Card or Disney Rewards Redemption Card and mention this offer. Reservations may be made up to 30 days in advance and are recommended. Call 714-781-TOUR (8687) or visit to City Hall or Tour Gardens at Disneyland® Park, or Chamber of Commerce at Disney California Adventure® Park. If you have any questions about kid friendly day tour in Los Angeles from Disneyland or LAX airport, just drop us a quick note to info@latraveltours.com or call 1-800-761-1775, In Australia, call (03) 9005 5907. Custom quotes for sightseeing bus (coach rental) group tour, students field trip tour. Best rated family trip tour on Tripadvisor, Yahoo and Google – reviews for American Riviera private tours.